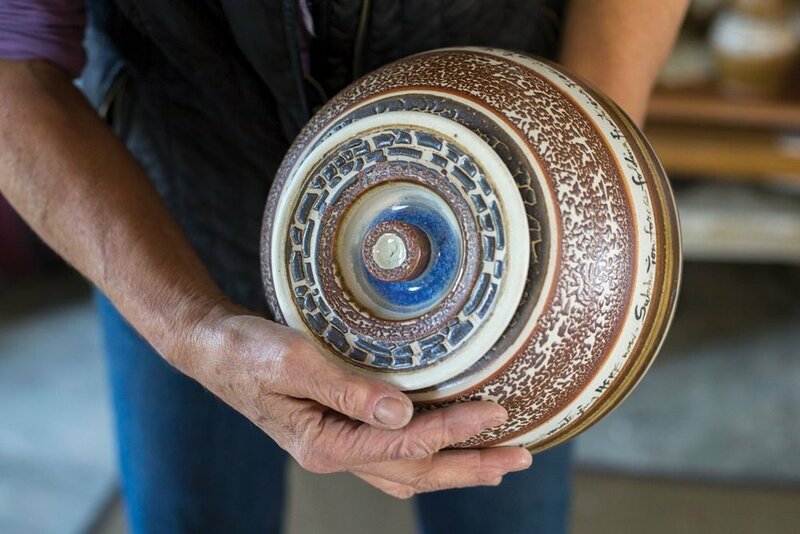 In her Falmouth studio, potter Joan Lederman pulls out a rectangular box that’s filled with wet mud. The shiny silver matter was extracted from the ocean floor 4,500 meters below sea level. If you look closely, stuck in the mud’s gray coat are tiny sand-colored specks. These are called foraminifera; scientists at Woods Hole Oceanographic Institute less than a mile away study these fossils for climate change. Lederman studies them, too. On the second-floor loft of Tuff Kookooshka's new Cataumet retail space, owner Anastassia Gonye is working on a new design. She’s stylish and cool with wavy blond hair and bright blue eyes and very matter-of-fact as she explains the shark-shaped SeaCozy that’s draped over the tables. She’s making the sleepsack wider to make room for growing feet. Next to her workspace, shelves are stuffed with fabrics and beside them lean bolts of corduroy, cotton and denim, waiting for her to experiment with later. Maine gives a lot. The shifting seasons give writers inspiration and artists changing scenes. The expansive wilderness and preserved coastline provide companies resources and researchers discoveries. The entrepreneurial culture gives business owners courage for innovation and teachers and students a different approach to education. These 50 philanthropists and visionaries are giving back. This group of doctors, teachers, business leaders, and artists wake up every day and volunteer, create, innovate, and work towards a great Maine. The South Shore can often feel crowded and developed, and sometimes when you’re stopped at a traffic light, or inside your home on a colder winter day, it’s easy to lose sight of where we actually are on Earth. Photographer and pilot Margot Cheel reminds us with her aerial fine art photography. 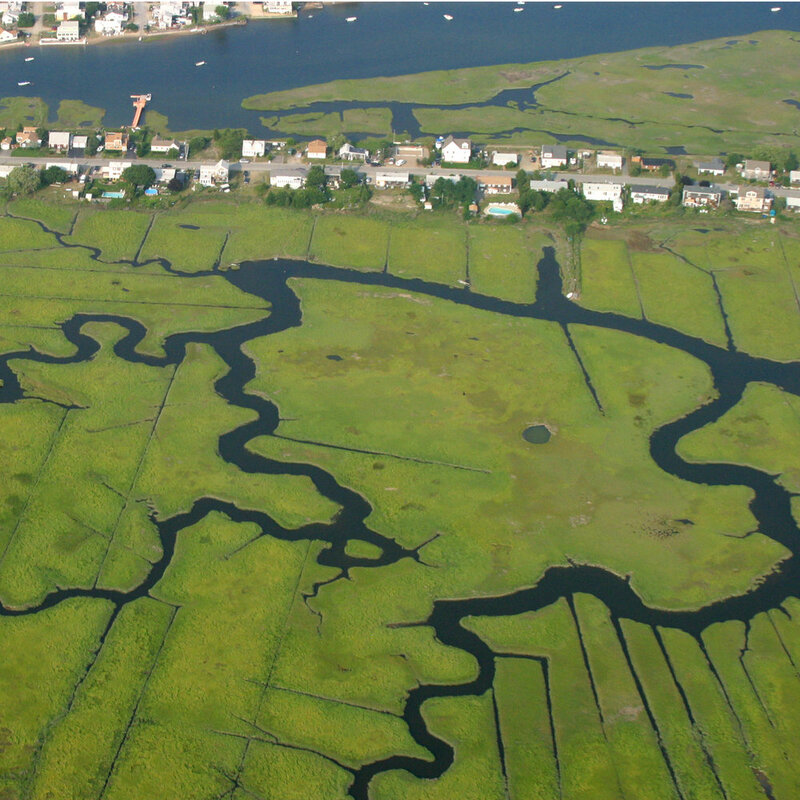 From the sky, Cheel reveals the South Shore’s wavy coastline, bright green marshes exposed during low tide, and rivers that carve a curvy path through the land, flowing through South Shore towns long before any intersection. 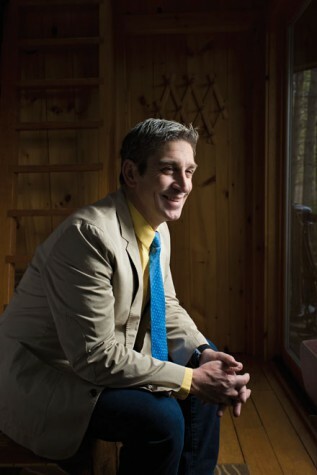 “Can I tell you a story?” asks Martin Sandler in his Cotuit home office. He pulls his knee up to cross his legs, revealing his striped colored socks. His chair sways slightly, knocking his thick pine desk, which is covered with papers, binders, pens, pencils and knicknacks. Faded Life magazines fall to a slant behind him and he is completely surrounded by books—his cave of facts. Historian Martin Sandler is a man from whom you never turn down a story. Artist Debra Fleury spent her childhood summers searching Cape Cod’s tidal rivers for shells and sea creatures. These days the MassArt grad continues to be a keen observer of the natural world: “I’m the kind of person who will spend 30 minutes looking at a tree,” says Fleury, who translates her observations, sketches, and thoughts into elaborate sculptures in her Somerville studio. Head inland and discover Maine’s many freshwater lakes that are surrounded by trees and dotted with old-fashioned camps. Each body of water has its own appeal, with varied depth, remoteness, and boating and fishing opportunities, but all offer quiet respite and slower-paced vacations. 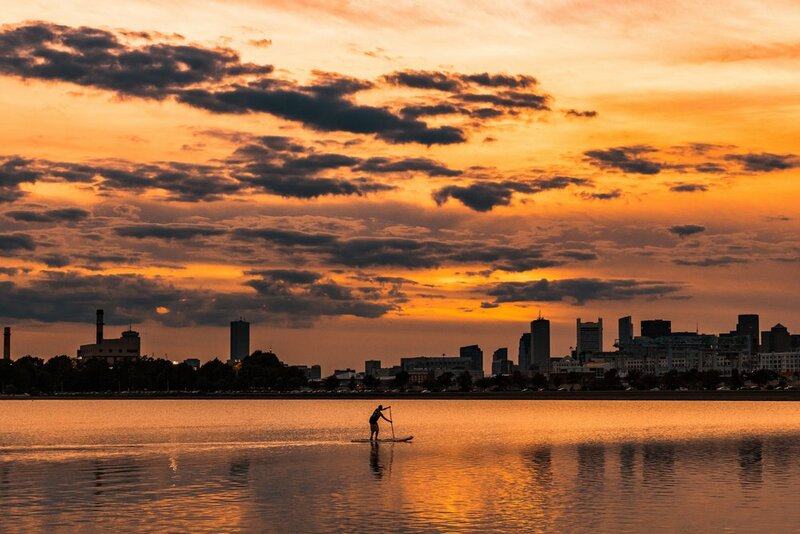 Boston’s Seaport is booming. In the past 10 years, this neighborhood that sat vacant for decades has seen the advent of high-rises sprouting on top of former parking lots, tony condos, business headquarters and posh new restaurants and hotels. The inventive new spaces and concepts inspired the area’s moniker, the Innovation District, but older businesses (some a century old) and historic sections maintain the old Boston charm. They say you have seven seconds to make a good first impression. 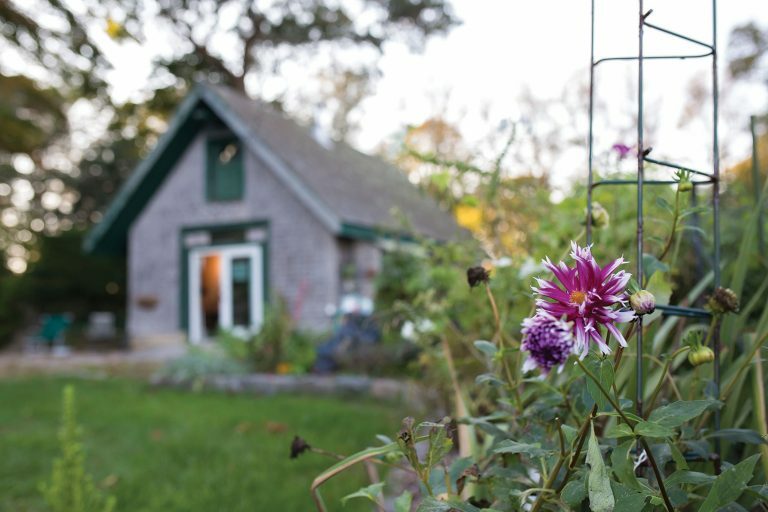 But when Susan MacKay stood before a full house of Maine Angel investors to present her new business, there were, true to Maine interconnectedness, many familiar faces in the room. Many of the Angels were already familiar with her business plan and had watched MacKay evolve through the state's Top Gun mentorship program. Now she was hoping she could demonstrate how far she'd come. It was harder in some ways, remembers MacKay. As we climb north, way north, snowdrifts deepen and less and less grass peeks up from beneath the frozen landscape. For hours we cruise past woods where the forest is deep green, thick, and vast. The forest offers seclusion and recreation, but for many, I learn as we fly by lumber mills, paper mills, and tree farms, it's a means of livelihood.